The International Trailer for The Horde. 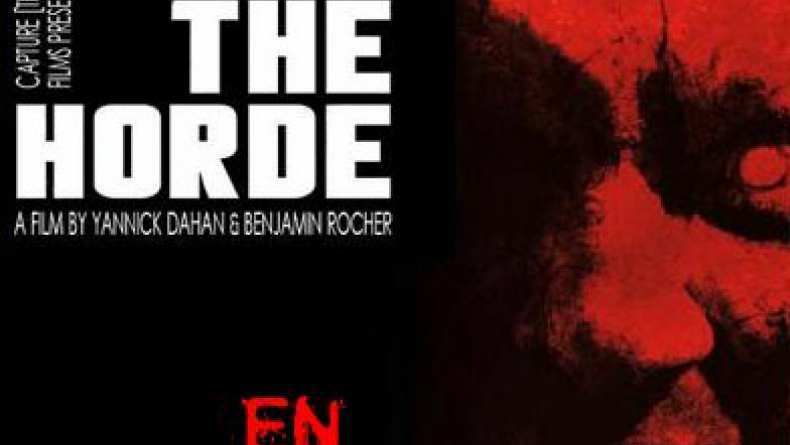 The Horde directed by Yannick Dahan and written by Benjamin Rocher, in their feature film debut, comes a tale of retribution and escape. Crooked cops, malevolent gangsters and a horde of walking dead are the centre point of this gruesome, tight, action packed horror. Set in Paris, a group of corrupt cops go on a rampage in a condemned building site in order to avenge the murder of one of their own by a group of malevolent gangsters. Now trapped, the two gangs find that they are not alone when hordes of cannibalistic creatures invade the building attacking everyone, forcing the two gangs to join forces in order to survive.